From Auburn/Opelika: Take I-85N towards Atlanta. Take Exit 62 and veer Right onto 280 East towards Phenix City. After approximately 14 miles, turn Right at the first Red Light on Hwy. 280. (Flea Market is on your left.) Take a Left at the Stop Sign. (Flowers Garage is directly in front of you.) After approximately 2 miles, take a Right at the Red Light. The Track and the parking lot is located on your Right directly across from the High School Football Stadium. The Special Olympics Alabama - Lee County Area Track and Field Meet will be held on Wednesday, April 10 at the J. D. Evilsizer Track at Smith Station High School. 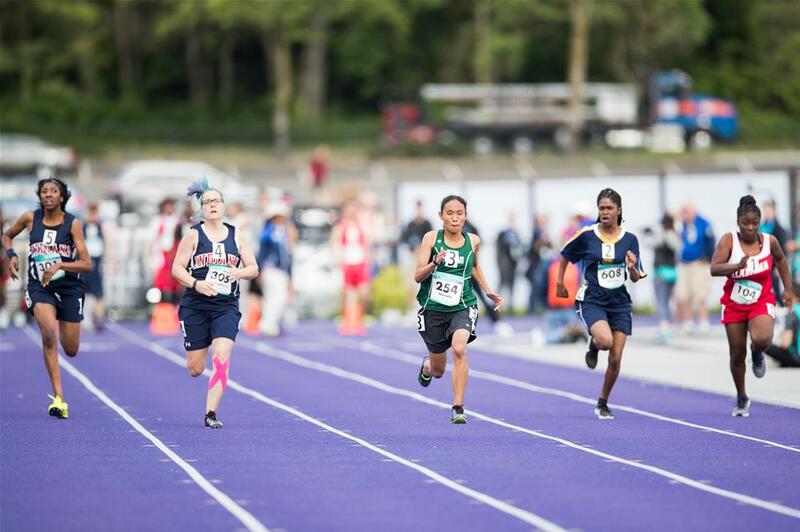 Athletes ages 8 years and older participate in one field event, one track event and have the opportunity to participate in a relay event. The Area Track and Field Meet includes short and long distances as well as field events including shot put and long jump. The Parade of Athletes and the lighting of the torch will take place at 9 a.m. central / 10 a.m. Eastern. Volunteers and spectators/supporters are always welcome!